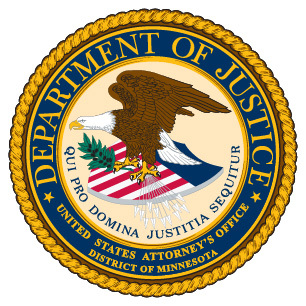 MINNEAPOLIS—Earlier today in federal court, three individuals were indicted for arranging interstate transportation for the purpose of prostitution. Brandon Lynn Gilmore, age 23, and Angelica Marie Carter, age 20, both of Milwaukee, Wisconsin, and Dominique Alexandra McKee, age 19, no known address, were specifically charged with one count of conspiracy to facilitate travel in interstate commerce to engage in prostitution. The indictment alleges that on July 12, 2013, the defendants entered into the conspiracy. A law enforcement affidavit filed in the case indicates that on July 20, 2013, Bloomington police were called to a local hotel to address a problem involving a 14-year-old girl. Upon their arrival, the police learned from the girl that she allegedly had been working as a prostitute out of the hotel for the past week. She reportedly said that Gilmore and McKee had brought her to the hotel from Milwaukee, where she wished to return. Officers located Gilmore and McKee in a hotel room. Carter was also found at the hotel. All three were immediately arrested. According to police records, the minor female said she met McKee on a social website and chatted with him about escorting and making money. Then, on July 11, 2013, she allegedly met Gilmore and McKee at a Milwaukee hotel, where she was invited to travel with them to Minnesota to work as a prostitute. Allegedly, Gilmore took photographs of McKee and the young girl for the purpose of website-based advertising. For his part, Carter drove them all to Minnesota. If convicted, the defendants face a potential maximum penalty of 30 years in prison. Any sentence would be determined by a federal district judge. This case is the result of an investigation by the Bloomington Police Department and the Federal Bureau of Investigation. It is being prosecuted by Assistant United States Attorney David P. Steinkamp. Anyone who may have information about any human trafficking matter is encouraged to report that information to the FBI at 763-569-8000. For information about human trafficking, the National Human Trafficking Resource Center’s toll-free hotline (1-888-373-7888) is available to answer calls from anywhere in the country. The U.S. Department of Justice reports that an estimated 14,500 to 17,500 people are trafficked within the U.S. alone each year. For more information, visit http://www.fbi.gov/about-us/investigate/civilrights/human_trafficking.